Closing the gun show and secondhand purchase loopholes. “We believe federal and state governments must put these in place to ensure that mass shootings and gun violence cease to be a staple of American culture,” the students conclude. 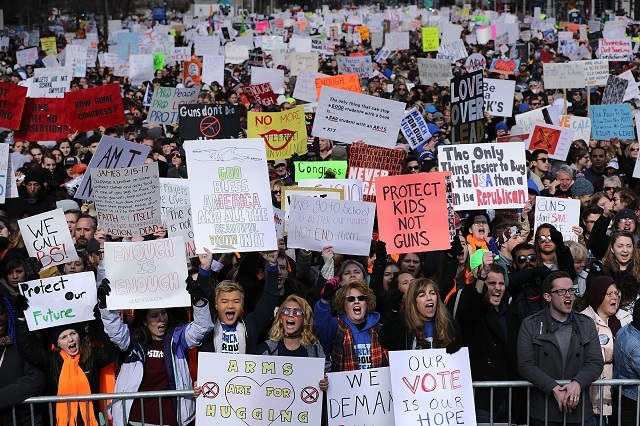 Saturday’s marches further demonstrated the widespread support throughout the US for stricter gun control legislation. According to the March for Our Lives website, 840 events were planned in all 50 states and in major cities across the globe, including Paris, Madrid, London, Tokyo, and Seoul.